Tine cultivator TRITON II :: OPaLL-AGRI s.r.o. 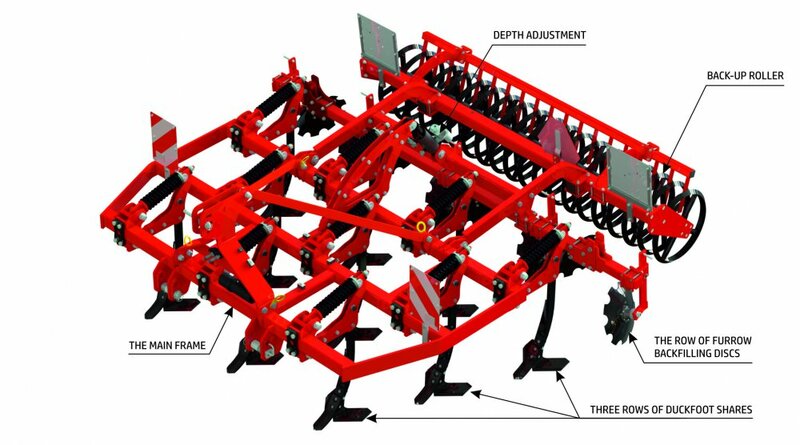 The three-row tine cultivator TRITON II is designed for wide range of working operations from stubble cultivation to deep loosening. Flexible duckfoot shares allow the soil to be processed at different depths with varying intensity of the soil loosening. The TRITON ii processes the soil in the range of 8-28 cm.